Not available in North America. 200 FPS cap can be removed with console command GameTime.MaxVariableFPS 0. Added along with the "In the Name of the Tsar" expansion pack. HDR10 and Dolby Vision supported. 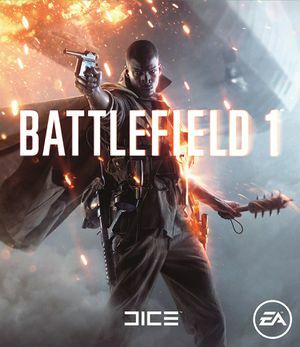 See Helix Mod: Battlefield 1. Battle(non)sense has created a comprehensive video explaining network performance graph variables. It can be found here. This game does not support Universal Plug and Play (UPnP) for automatic port configuration. Once the free memory is exhausted, performance takes a big hit - games with heavy caching like BF1 suffer horribly. The only way to fix it previously was restarting the computer (thus clearing the memory), which explains why it was only happening after a while and not on a fresh boot. Right click > Properties and select Run as Admin under compatibility. Actions tab > Start A program > Point to the EmptyStandbyList.exe file. Done! Standby memory is automatically cleared every 5mins. You can have these commands run automatically, whenever you start the game, by entering them in user.cfg in the Battlefield 1 installation folder (the file won't exist by default, you can create it through a Notepad and save as a .cfg file). ↑ "Playdead drops Denuvo from the hit indie platformer Inside". http://www.pcgamer.com/playdead-drops-denuvo-from-the-hit-indie-platformer-inside/. This page was last edited on 1 April 2019, at 20:11.